Errors can be specified as a constant value (as shown in errorbar_demo.py). However, this example demonstrates how they vary by specifying arrays of error values. 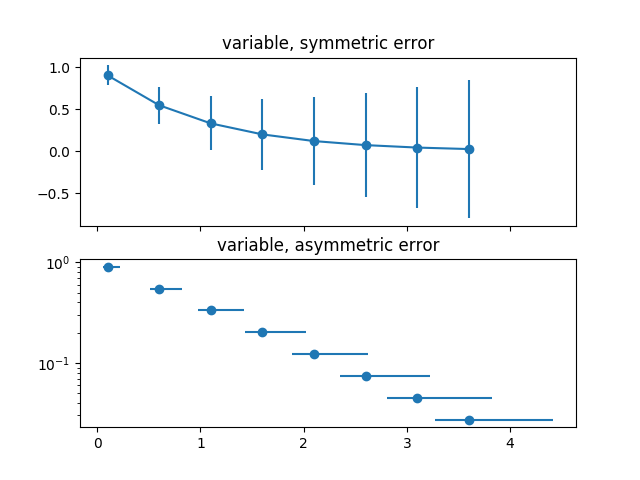 Error varies for each point, but the error values are symmetric (i.e. the lower and upper values are equal). In addition, this example demonstrates how to use log scale with error bars.